Is IP address Version 6 ( IPv6 ) will replace IP address version 4 ( IPv4 ) ? Ipv6 is abbreviation from Internet Protocol Version 6 (IP version 6). IpV6 is often called as Next Generation Internet Protocol (Next Generation IP) or can be called as Ipng. Area Director of Ipng recommended Ipv6 from Internet Engineering Task Force (IETF, www.ietf.org). In IETF summit, 25 July 1994 as write at RFC 1752, that has title “The Recommendation for the IP Next Generation Protocol”; this recommendation was agreed by Internet Engineering Steering Group and has been a standard proposal at 17 November 1994. 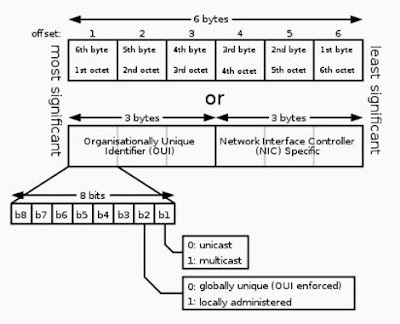 Core Collection of Ipv6 protocol is added at draft standard IETF at 10 August 1998. IPv6 is designed by IETF and used for replacing IP address version 4 today. Almost every internet users are using IPv4 today, where IPv4 has reached almost 20 years old. IPv4 was proven very strong until today, but there is a problem with IPv4, especially at the allocation of those IP. Because allocation IPv4 more scare, then we need new mechanism to add new allocation of IP address in internet. At, IPv6, the length is 128 bit meanwhile the length of IPv4 is only 32 bit. If we compare between IPv4 and IPv6, of course capacity of IPv6 is bigger than IPv4. IPv6 fix some problem of IPv4 such as limitation of allocation IP address. IPv6 also has new improvement such as routing problem, and auto configuration network. IPv6 is really hoped can gradually replacing IPv4, and with two types of IP address (IPv4 and IPv6), there are several years at transition period from IPv4 to IPv6. Today, IPv6 is a step of evolution from IPv4. IPv6 is a natural growing from IPv4. IPv6 can be installed such as upgrading software, and user can still connected with IPv4. IPv6 is designed for walking together with high performance network such as Gigabit Ethernet, OC-12, OC-48, OC-192, ATM and in the same time can still efficient for low bandwidth network. In addition, IPv6 also provide platform for new functions at internet that can be used in the future. IPv6 add on transition mechanism where user will be easier to adopt and build application at IPv6 and provide directly interoperability between IPv6 and IPv4.